Currently the Shanghai International Port Group (SIPG) is set to manage Israel's largest port at Haifa as part of a contract to be inagurated in 2021, which will run for 25 years, and a separate Chinese firm was recently awarded a contract to construct a new port in the southern Israeli city of Ashdod, next to Israel's main naval base near Tel Aviv. Both deals are what both Washington officials and some Israeli generals have expressed deep concerns about of late, with the latter multi-billion dollar contract having been awarded to China Harbor Engineering, one of China’s biggest government-owned enterprises. For example in September Israeli Brigadier General Shaul Horev, who had previously served as navy chief of staff and chairman of the Atomic Energy Commission, loudly questioned the move in Israeli press, saying “When China acquires ports it does so under the guise of maintaining a trade route from the Indian Ocean via the Suez Canal to Europe, such as the port of Piraeus in Greece. Does an economic horizon like this have a security impact?" 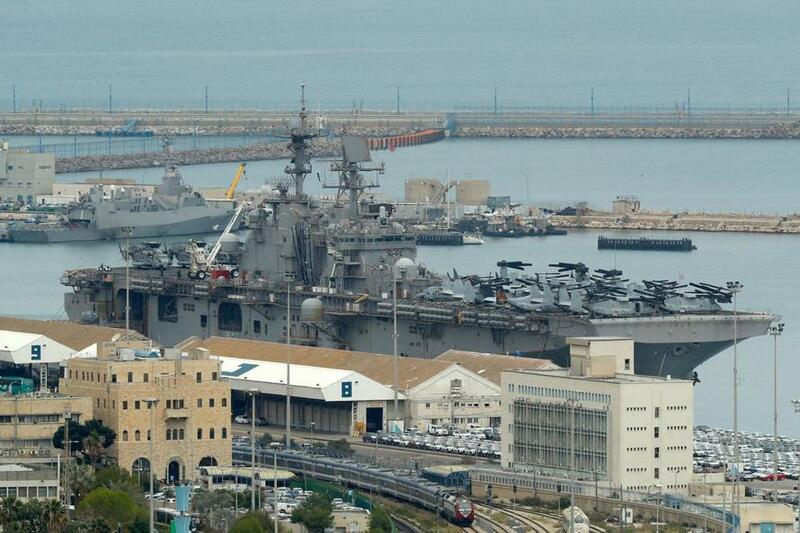 America's Middle East theater and Mediterranean vessels routinely make port calls in Haifa — the most recent being the Arleigh Burke-class guided-missile destroyer USS Ross' Oct. 25 stop while supporting 6th Fleet headquarters operations based in in Naples, Italy. Following the conference Arthur Herman, senior fellow at the Washington-based Hudson Institute think tank, noted the astronomical cost of the project, and the importance to Beijing for it's vaunted Belt and Road Initiative. “At $3 billion, this is one of the biggest overseas investment projects in Israel, ever, and also one of the biggest for the Chinese company, China Harbor Engineering,” he wrote. “Ashdod on the Mediterranean coast is the destination of fully 90 percent of Israel’s international maritime traffic,” Herman continued. Critics have also noted that Israel’s Transportation Ministry and the Ports Authority went forward with construction of the Chinese ports at Haifa and Ashdod “with zero involvement of the [Israeli] National Security Council and without the [Israeli] navy,” according to Haaretz. 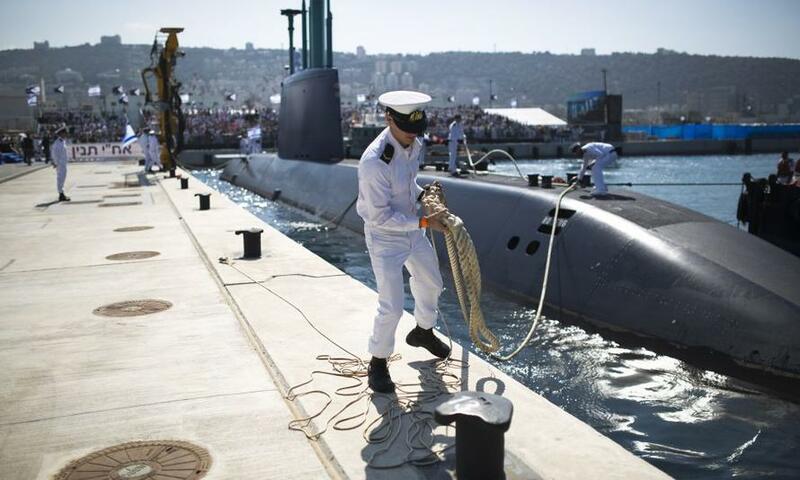 And an Economist magazine report from October called attention to an issue that Israel's civilian leadership appears aloof to address: “The first [concern] is over Chinese control of strategic infrastructure and the possibility of espionage,” given that “Israeli submarines, widely reported to be capable of launching nuclear missiles, are docked there [at Haifa]. Yet the deal with the Chinese firm was never discussed by the cabinet or the national security council, a situation one [Israeli] minister described as astonishing,” the Economist said. All of this should also worry Israeli leaders considering China's increased ties with Iran and refusal to abide by White House sanctions on Tehran and Trump's demand that countries should stop importing Iran's oil. Relations between China and Iran began to thaw from the moment Chinese President Xi Jinping took office in 2012, and by January 2016 - at the moment sanctions were lifted - Xi visited Tehran, meeting with Supreme Leader Ali Khamenei and President Hassan Rouhani - which marked the first time a Chinese president visited Iran in 14 years. 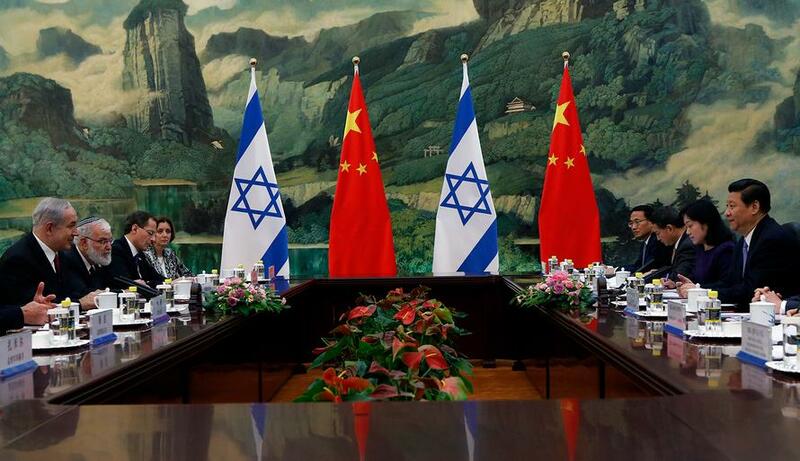 Critics of the Chinese takeover of Haifa port say this will grow increasingly awkward for Tel Aviv, which has an official position that Iran seeks to wipe Israel off the map. Yet China-Israel relations seem warm as ever considering in October Prime Minister Netanyahu hosted China’s Vice President Wang Qishan along with Jack Ma, CEO and founder of the e-commerce giant Alibaba, in Jerusalem, after which the Israeli PM commented the summit “reflects the growing ties between our countries, our economies, our peoples.” And followed Netanyahu's 2017 trip to Beijing where he met with Chinese President Xi Jinping. And this all brings back a key question: if China is to play a crucial lifeline for Iran as it attempts to survive aggressive US sanctions, and if Israel is growing economically closer to China, won't such an alignment be dangerous to Israel's long term security and its tied-at-the-hip relations to Washington?